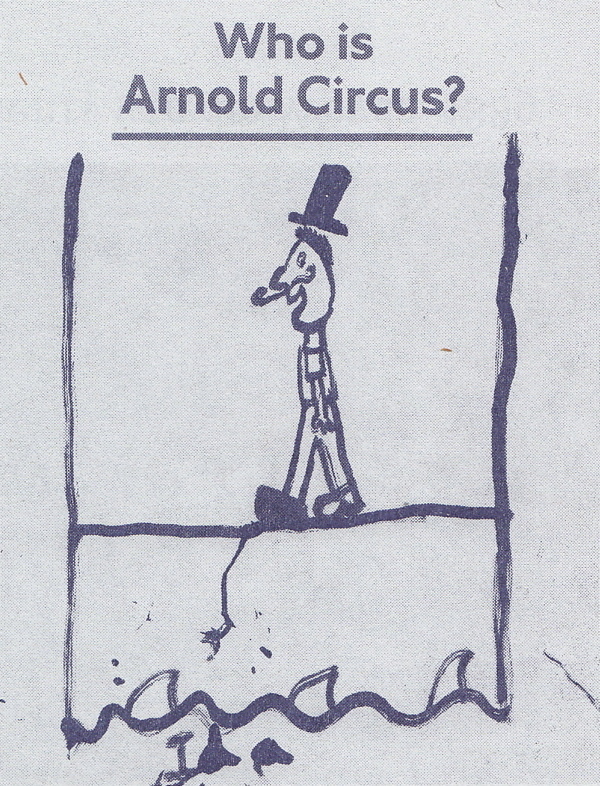 It is my pleasure to publish A Guide to Arthur Arnold, his Brother and his Circus by Naseem Khan of The Friends of Arnold Circus, written to celebrate the centenary of the bandstand on the Boundary Estate, Britain’s first social housing estate. The newly renovated bandstand will be inaugurated tomorrow, Sunday 18th July, with a Sharing Picnic from 1pm, to which all are invited. Joan Rose will cutting a cake and I will be distributing a thousand copies of a free booklet containing stories from Spitalfields Life about Arnold Circus, so please come along and join the party. 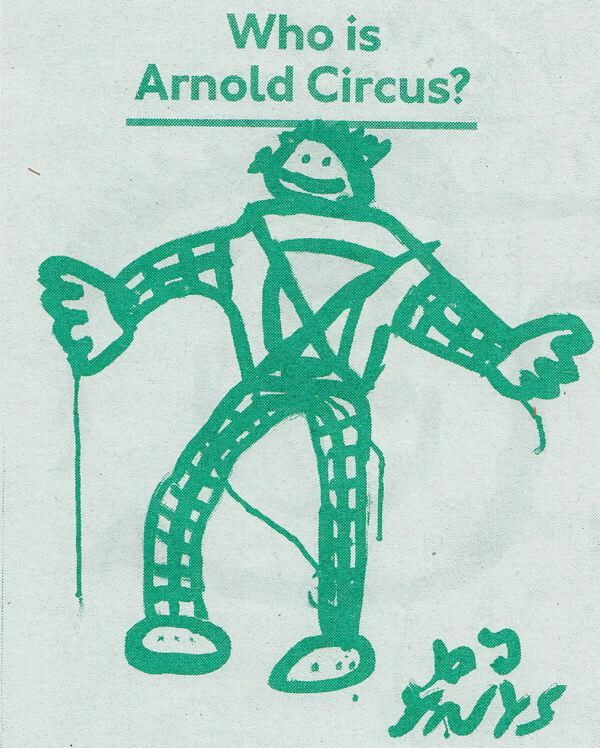 Arthur Arnold didn’t look anything like this child’s version of the man behind Arnold Circus. But he did share qualities of energy and originality with the drawing. Robert Arthur Arnold was a resolute campaigner – a man who set great store by social justice and who spent much of his sixty-nine years working to improve the lives of the under-privileged in Victorian times. 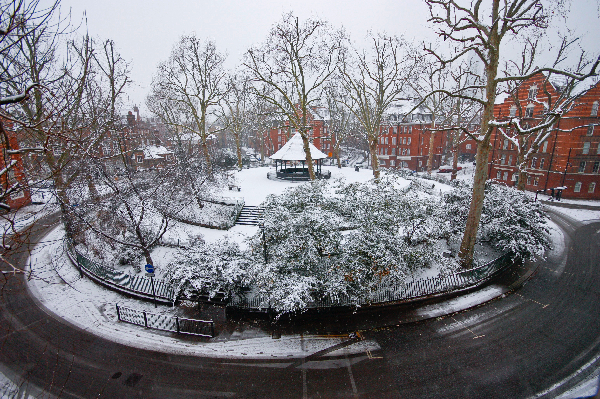 Arnold Circus is part of his legacy. Looking at his track-record, you might not immediately think he was an innovator. His CV at first looks deceptively worthy – assistant commissioner under the Publlc Works Act (1863), author of a well-regarded pamphlet analysing schemes for the Thames Embankment, Liberal MP. But look a bit deeper and a man of persistent vision, a sturdy sense of commitment and a strong streak of independence of mind and unpredictability. For this apparently solid Victorian public servant also produced two sensational novels, fought for married women’s rights at a time when they were legally subservient to their husbands, started and edited one of the first London evening newspapers, The Echo, and – when it was sold in 1877 – set off, with his wife, on a thousand-mile long trip, by horse and camel, the length and breadth of Persia. So which is the real Arthur Arnold? Was it the pubic servant who concerned himself with decent sewers, good housing for the poor and land reform so that every farm worker could have the right to ‘three acres and a cow’? Or was it the independent-minded man who married the pioneering writer, Amelia Cole, and who in 1900 – at the height of the Empire – wrote how much he disliked the term ‘imperialist’ because ‘to me it is always suggestive of a waxed moustache’? And what did Arnold have to do with the circular gardens and bandstand at the heart of the then very new Boundary Estate? The last one is the easiest question to answer. When the London County Council was formed in 1889 as the first all-London government, Arthur Arnold was elected as an alderman. In 1895, he became Chairman of the body and was involved in its pioneering ventures. Determined to be a progressive force, the LCC early on voted to demolish the notorious East London slums of The Old Nichol and replace them with the very first social housing estate, to be a model for good municipal government. Naming the gardens at the heart of the Boundary after Arnold was a graceful acknowledgment of his role. It also has an element of irony, for Arnold had actually opposed the municipal housing policy since he argued that it would mean the eviction of all the most needy slum-dwellers. In this he was proved quite right. Only eleven finally became rehoused in the spanking new Boundary, as Sarah Wise’s eloquent study ‘The Blackest Streets’ documents. But for all that, it is a fitting legacy since Arnold had espoused so many of the causes that led to the development of social housing in Britain. He himself had been born on May 28th 1833 to a respectable Kent family, and grew up with two brothers and three sisters in Gravesend. Unlike his older brother Edwin (born in 1832), he had no formal education since he was an ailing child. But he trained as a land agent and surveyor, moving naturally into the whole area of civic improvement that was so powerful a movement at that time. From the start Arnold was a staunch radical. 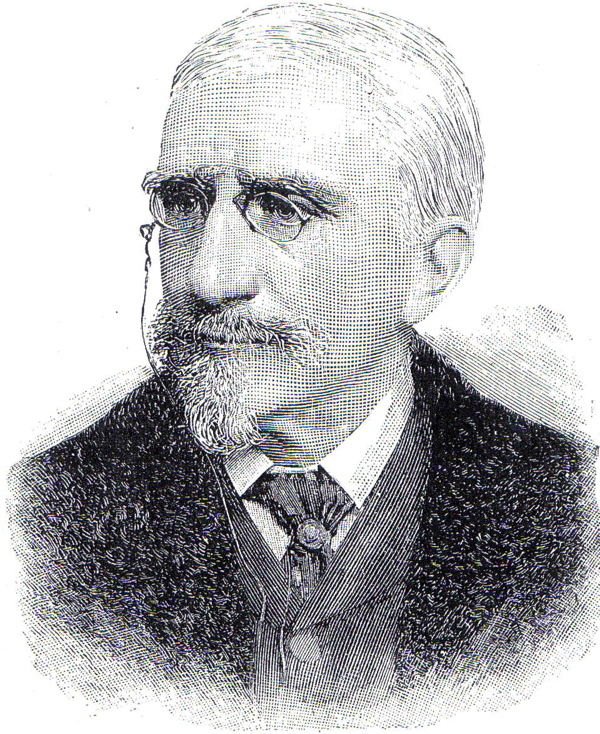 His paper, The Echo, campaigned for universal suffrage, for state ownership of the railways, Home Rule for Ireland and the disestablishment of the Church. Arnold himself had a gift for recognising young talent and hired and nurtured a number of writers who later became key journalists and editors themselves. With his wife, Amelia – daughter of the Governor of Sierra Leone – he was part of the anti-alcohol/temperance movement. When, after seven years, the paper was sold, he sought a seat in Parliament, and was finally successful in 1880 when he was elected MP for Salford. His time in Parliament lasted five years. When he lost his seat, he turned his energies to London politics, to the new LCC and the road that led to Arnold Circus. Years of public service and a knighthood followed, with his last public engagement just a few weeks before his death of a heart attack on May 20th, 1902. But influential as he was, it is nevertheless true that his older brother was more of a household name at the time. Edwin’s story is surprising too. Unlike Arthur, Edwin had been a brilliant scholar. From childhood up, he had won every prize going, and gone on to study at King’s College, London and then University College, Oxford, producing a poem that won the coveted Newdigate Prize. For a short time, he taught English in Birmingham, but provincial schoolmastering was not his forte. A friend helped him gain the headship of the Deccan College in Poona/Pune and so in 1857 he set sail, with his wife and young son, for India, where he lived for four years. They were seminal years. Edwin was not an imperialist who kept himself secluded in the British enclave or cantonment. He learnt the local language, Marathi, as well as Sanskrit and Persian. He travelled, and engaged with local intellectuals: he mentored the poet Iqbal, who was a founding voice for the creation of Pakistan. And – most significantly – he made contact with Buddhism, which many years later was to lead to his fame. But before that could occur, thirty years or so of journalism took place. Returning to England, he joined the Daily Telegraph, and was its Chief Editor for sixteen years, from 1873. It was a glorious time for the paper. It acquired such a dynamic and radical edge that the paper, that had been merely one of Fleet Street’s lesser dailies, was elevated to being the only rival to the previously unrivalled Times. Edwin Arnold himself was responsible for a number of bold commissions, amongst them sending Stanley to Africa to see if he could find the missing explorer, David Livingstone. And then, in 1879, his life changed. He had been writing a long poem off and on, composing it, he said modestly ‘in my spare moments, being jotted down on anything that was available’. A life of the Buddha in blank verse and stretching to fifty thousand words, ‘The Light of Asia’ opened the eyes of the west to Buddhism and found its way into a huge amount of Victorian households, It was a runaway success. It went into sixty editions in Britain and even more in America where it was even dramatised on Broadway. It was turned into an opera with an Italian libretto too and performed in Paris in 1892, where George Bernard Shaw saw it and gave it a good review. The book made him a rich man. It also earned him the Order of the White Elephant, awarded by a grateful King of Siam for ‘having made a European Buddhist speak beautifully in the most widespread language in the world.’ This award, interestingly, neatly matched his brother Arthur’s: for he had been awarded the Golden Cross of the Saviour by the King of Greece for his own sympathetic writings drawing on his travels in the Levant. The two brothers – so alike in their vitality and determination – were born within a year of each other and died within two years of each other. Arthur and his wife, Amelia (a writer of feminist novels and eleven years his senior) had no children. Edwin on the other hand had three wives, with the first two dying before him. He married his final wife, a young Japanese woman of twenty, after meeting her in his travels through Japan. In the year in which the Arnold Circus bandstand reaches one hundred years old, it is fitting to remember and mark not only Arthur, but also the brother to whom he was so close, for their idealism, staying power and open-minded curiosity. These are lasting values with lasting value. oh, i do so wish i could be a part of this celebration. i was fascinated by the bandstand upon first sight in may and immediately thought how wonderful a place it would be for summer events. it’s too bad i can’t just hop a plane to join in the festivities, but i look forward to reading about it all in a future post. What a coincidence- on Saturday I went to see the 1926 silent film Light of Asia at BFI and had not got round to looking up Arnold ,when I come across him today in your excellent blog! Here are a few more biographical details about Sir (Robert) Arthur Arnold which may be of interest to some. His parents were Robert Coles Arnold (a farmer and JP) and Sarah Pissey. He had three brothers who were all successful in their chosen fields. 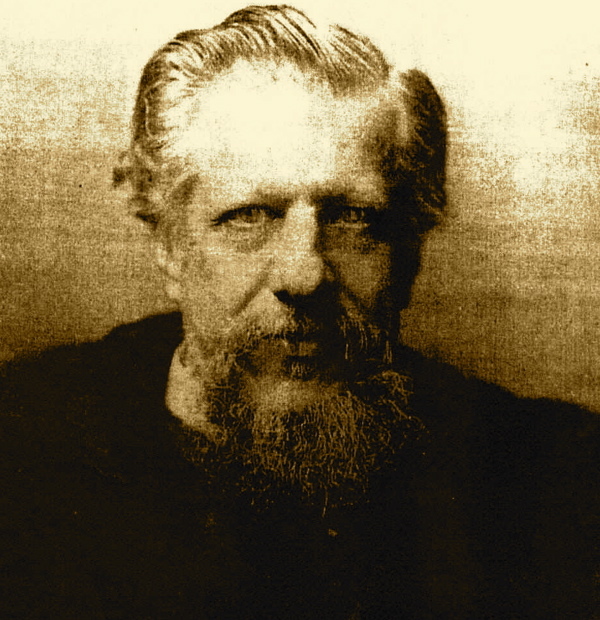 The eldest was George Mathews Arnold 1826-1908 who was a solicitor in Gravesend and mayor. Sir Edwin is detailed above. The youngest brother was Augustus Alfred Arnold 1835-1932 who was a solicitor in Rochester and involved with a number of local charities including almshouses. I enjoyed the BBC programme about Arnold Circus last night and I am sure Sir Arthur would be delighted that the estate is now in such good shape over 100 years later. Very interesting. Good old GBS. I was born in West Norwood back in the 1951. Two years ago we were I London checking out where we used to live. We stayed in the Shoreditch area as my mum was born around there. Funnily we came across the Arnold Circus, my family name. I am tracing my Heritage. My Grandfather’s name was Robert E.F. Arnold born 1889, I was wondering if there is any connection. If you have any information I would love to know.